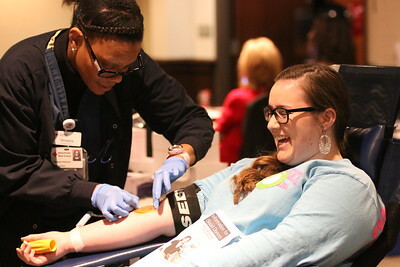 On Thursday, January 28th, students came out to Ritch Banquet Hall from 11-4 to donate blood at the blood drive hosted by the American Red Cross. 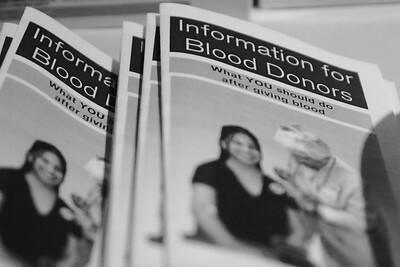 Booklets provided by Red Cross to inform the blood donors of extra information they may need to know. 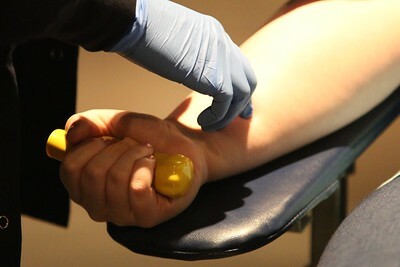 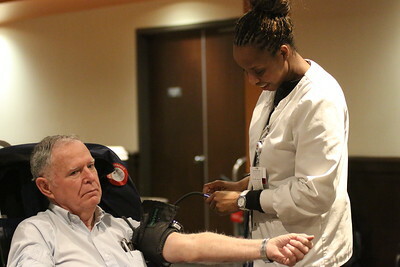 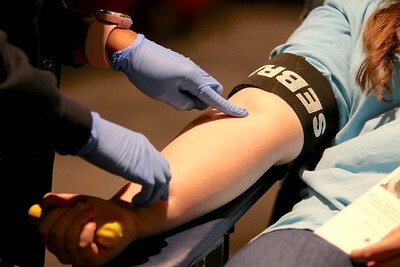 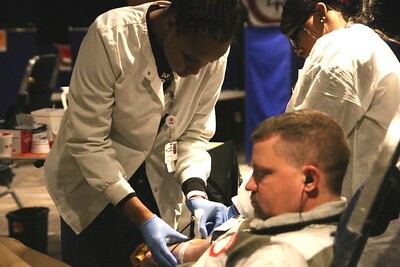 An American Red Cross employee drawing blood from a local donor. 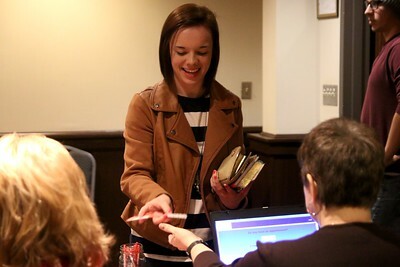 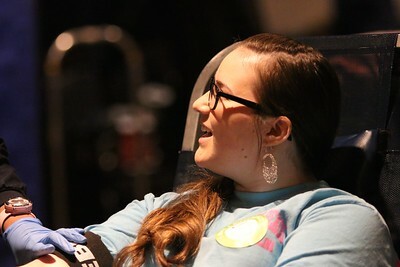 Ashley Cable, GWU sophomore, registering to donate blood. 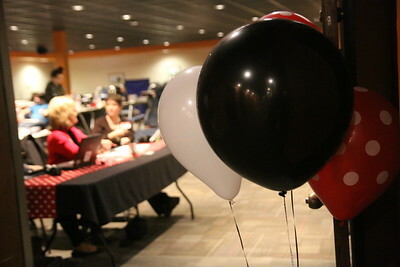 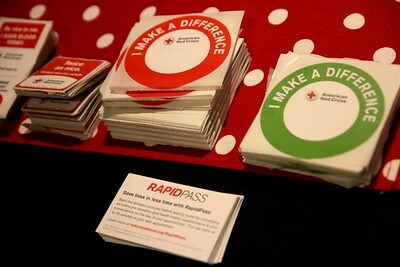 Stickers and information provided to the donors was sitting on the welcome table at the entrance of Ritch. 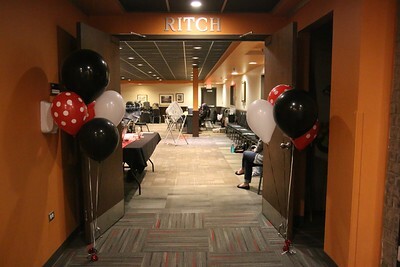 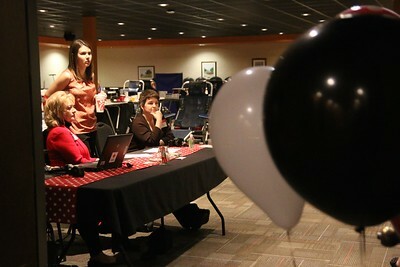 The entrance to Ritch Banquet Hall was framed with balloons and smiling faces to make the donors feel welcome and appreciated when entering. 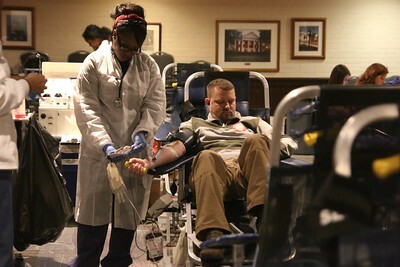 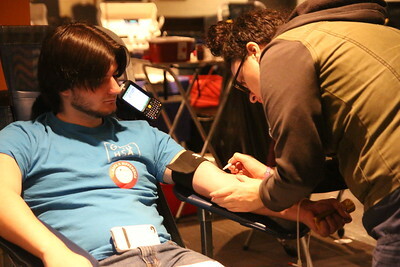 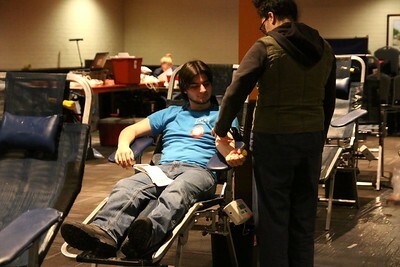 A GWU sophomore donating blood. 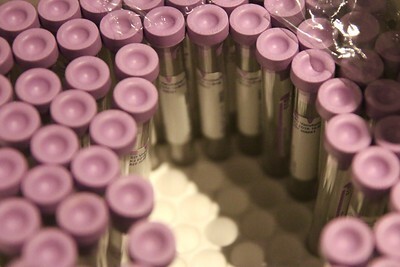 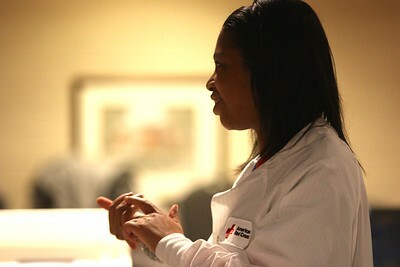 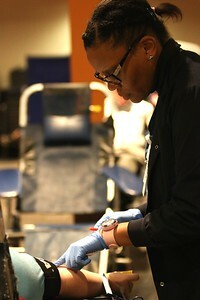 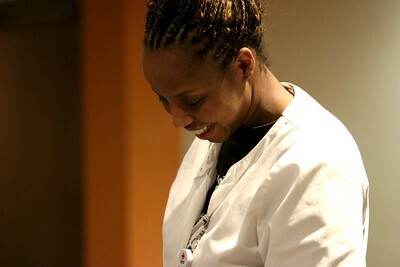 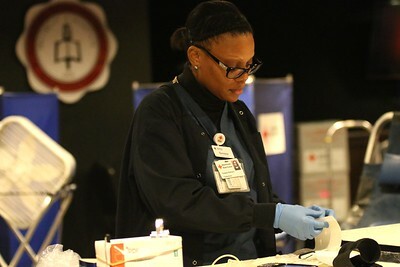 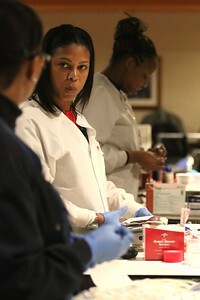 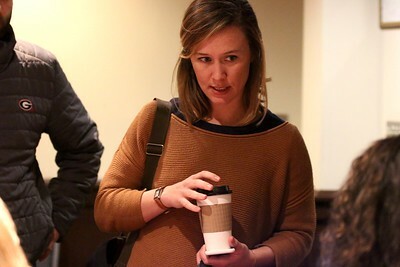 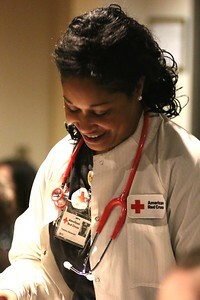 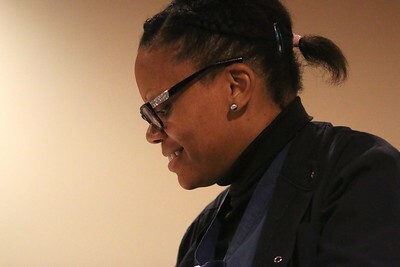 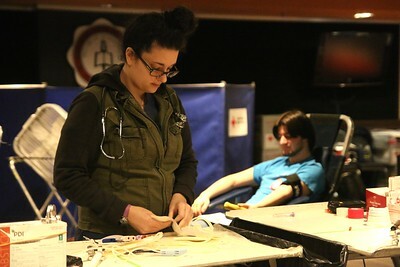 A nurse preparing the tools needed while a GWU student waited in the chair behind. 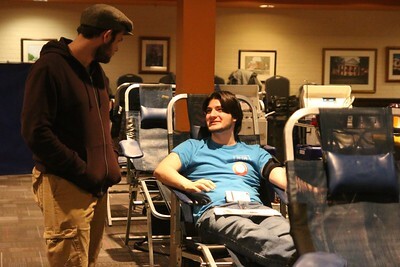 Two students talking while waiting to donate blood. 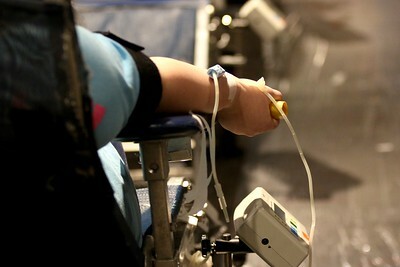 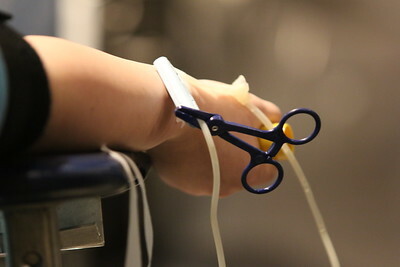 Donors were given objects to squeeze during the process to help ease the pain and circulate blood flow. 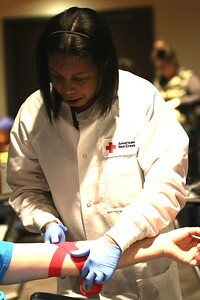 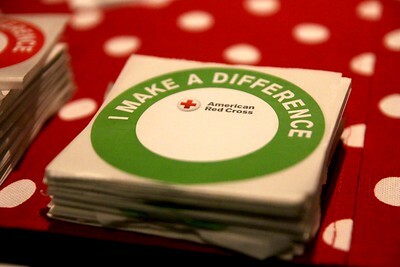 All of the nurses and volunteers were happy to help and smiling while drawing blood and helping in other ways. 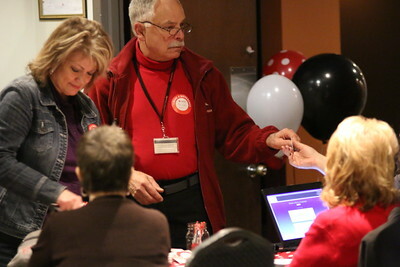 Dr. Jones and his wife came out and helped by giving blood.